A good night’s sleep has been a luxury ever since I became a mom. Not that I’m complaining, it’s just that when I was single, I couldn’t care less on what kind of mattress, pillows and other sleeping paraphernalia I use, as long as I can get my 8 hours of sleep. But now that I’m older, it really doesn’t matter if I get 8 hours of sleep as long as I get to have a deep slumber whether it’s 4 or 6 hours, as long as I’m well rested I’m good. I like having lots of pillows so another pillow is always welcome in our home. 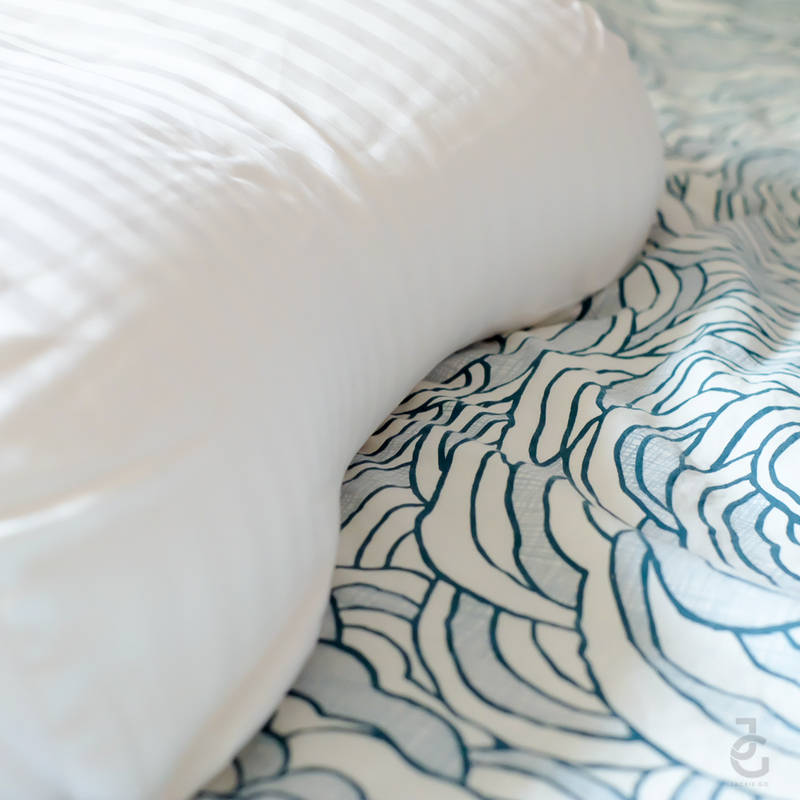 This Serenity Latex Pillow by Dunlopillo is a lovely addition to my pillows piling in our bed. 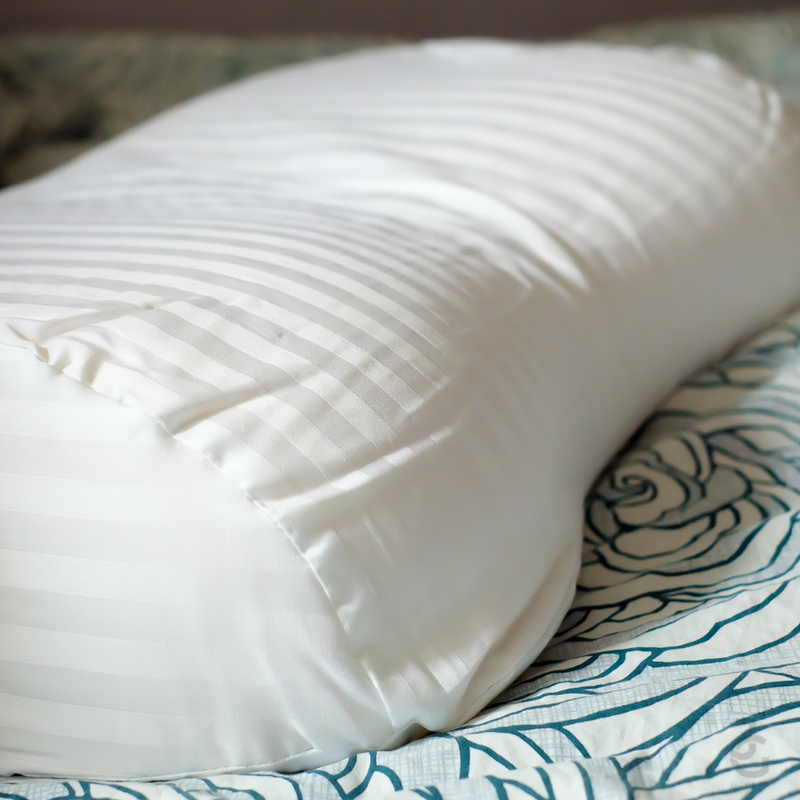 Dunlopillo Serenity Latex Pillow retails for Php 4,800. 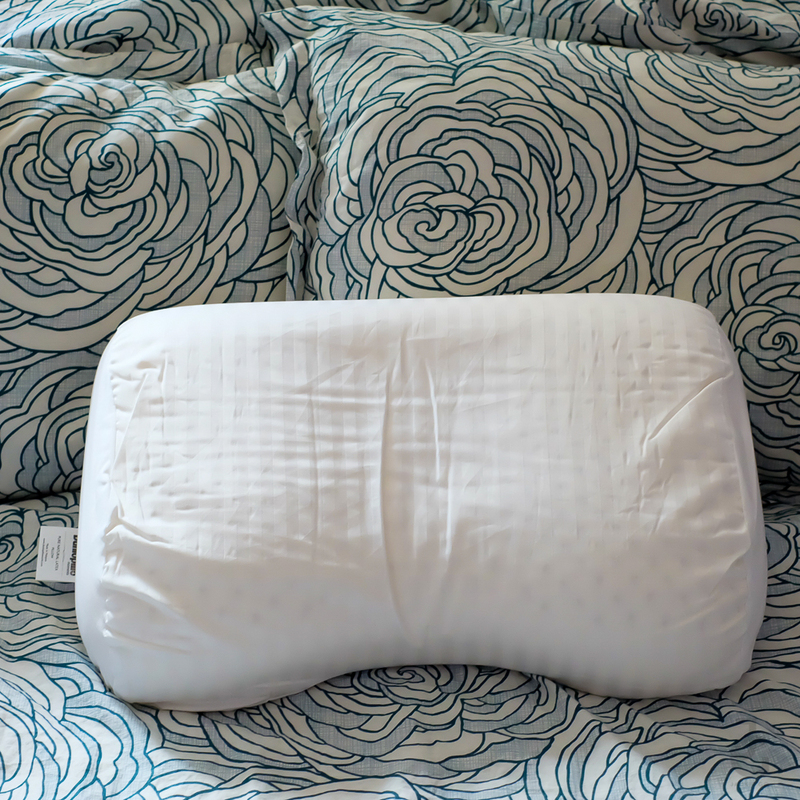 Dunlopillo Serenity Latex Pillow is a butterfly pillow made from pure natural latex, dual contoured to relieve neck fatigue and promote blood circulation. It’s anti-microbial, non-toxic, hypo-allergenic and dust-mite resistant. more adaptable– thanks to its elasticity, the pillow fits perfectly contouring the neck and the soft part of the face avoiding appearance of pressure points. healthier–the surface elasticity is combined with proper resistance to further support the correct position of the spine. more breathable–thanks to the open cells and larger Talalay Latex, air flows more easily keeping the pillow well ventilated. more hygienic–it’s hypoallergenic material with powerful antibacterial and anti fungal properties. Bacteria and fungi are eliminated on impact. It feels just right– soft but not too soft that there’s no support. 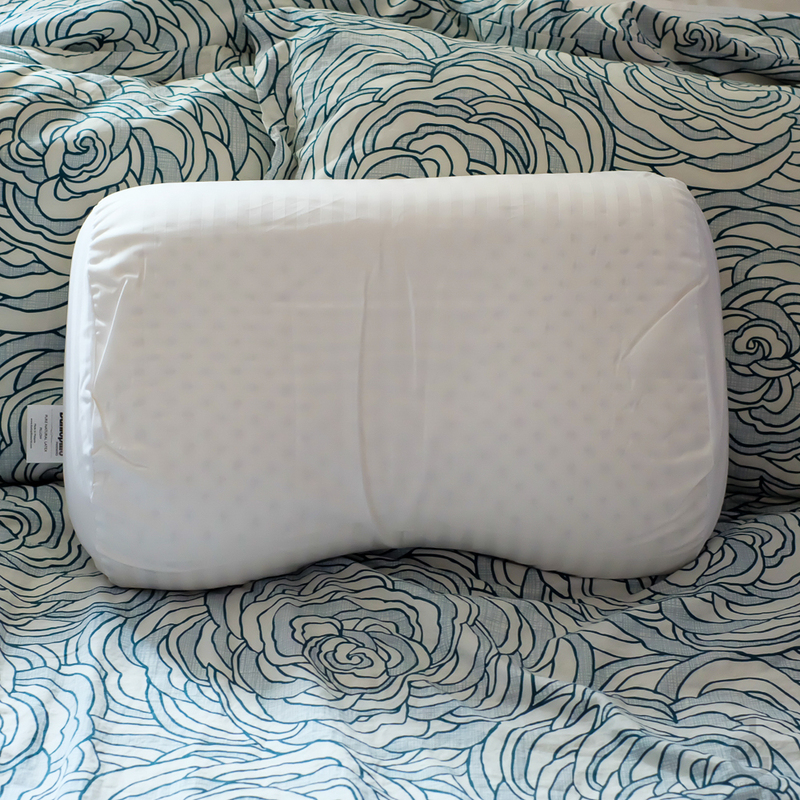 The contour makes it very comfortable to sleep sideways– a must for side sleepers like me since higher pillows with firmer support fills up the distance between the ear & shoulder. This pillow has been heaven sent! 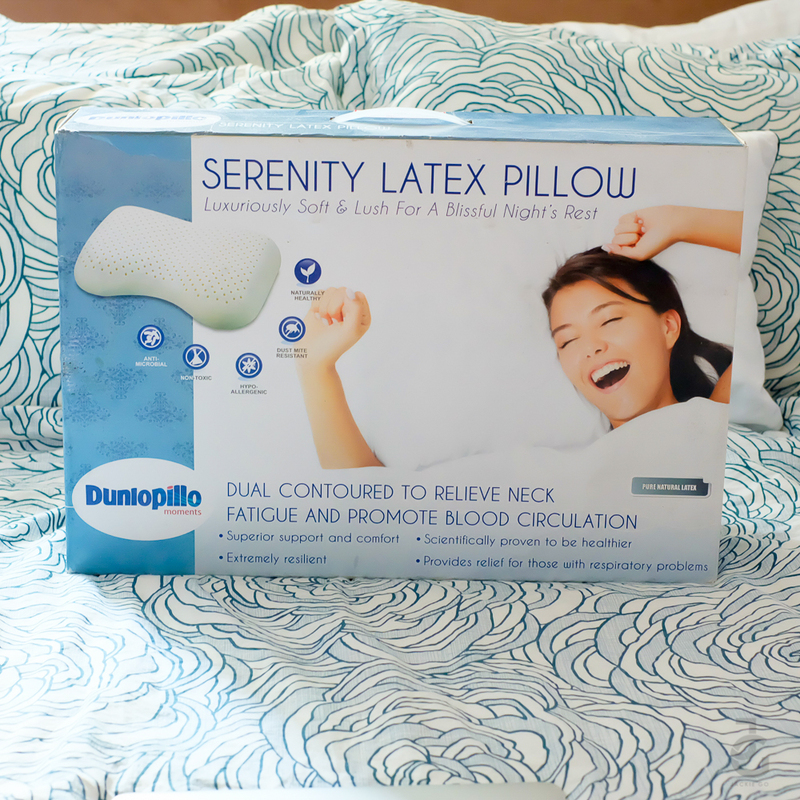 I used to get muscle spasms on my neck and upper back because of how high or low I stack my pillows, now I haven’t felt any neck pain ever since I started using Dunlopillo Serenity. The only thing I wish is for it to have an extra pillow case so when it gets dirty all I need is switch the case and wash the other. 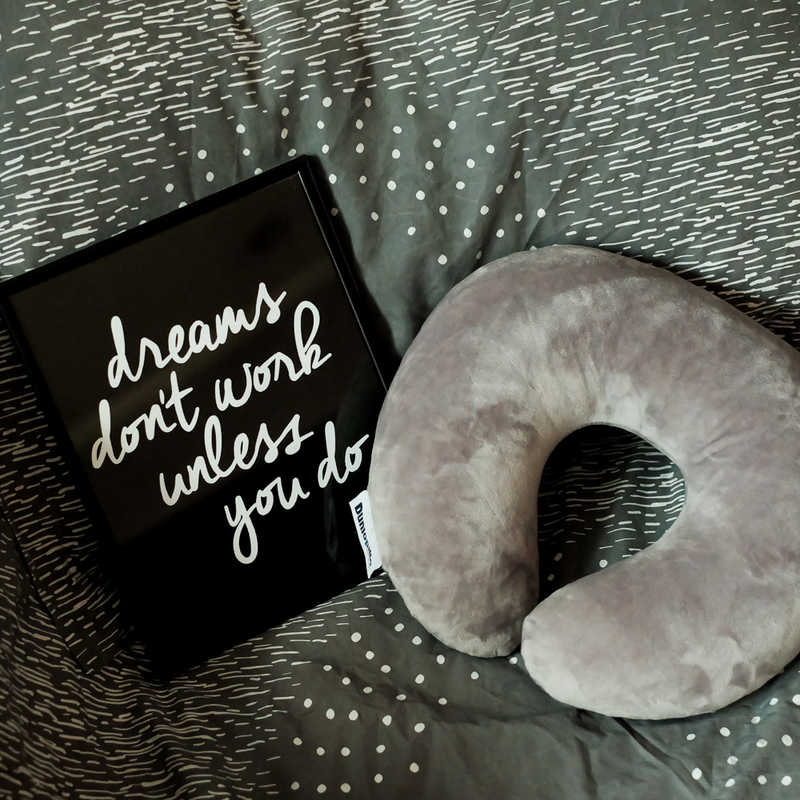 But overall, it’s a great pillow especially for people who like to sleep sideways. The protection it gives to the neck ultimately adds to quality hours of sleep. I also got a U-neck pillow which is super useful travel pillow. It’s the firmest yet the softest one I’ve tried so far– I don’t know if that makes sense but you must feel it to know what I’m trying to say. 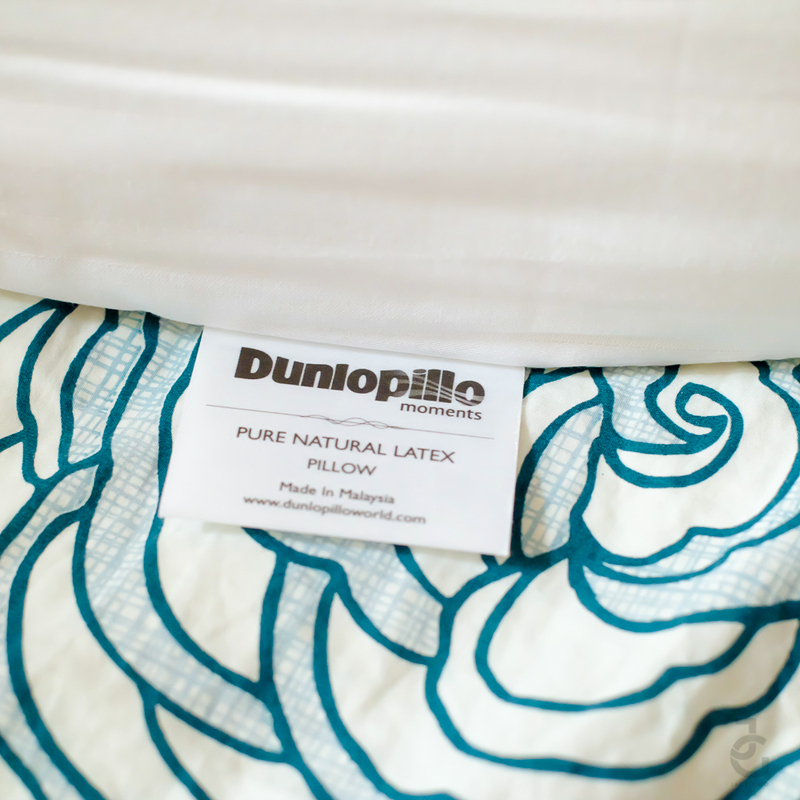 Speaking of trying, catch the sale of Dunlopillo with some pillows and mattress at 50% off! If there’s one thing I know I truly need that money can’t buy, it’s really a good night’s sleep. But having good pillows and comfy beddings can truly make a difference.